Ban on legal hoardings in Bengaluru stayed/quashed by Karnataka High Court !! 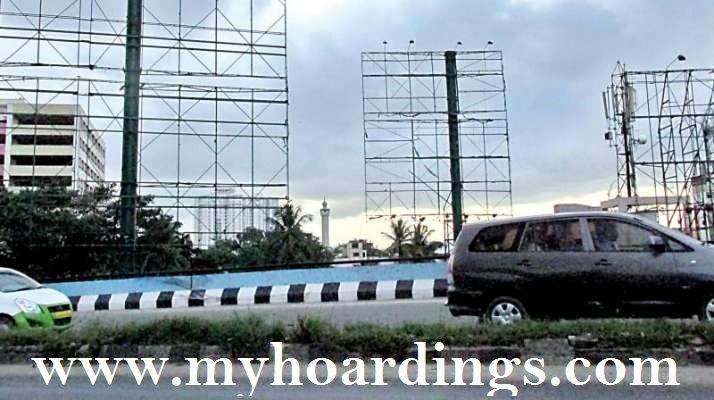 | Hoardings BAN removed in Bangalore !! Bangalore hoardings ban stayed/quashed by high court !! After more than 6 months of ban, Karnataka High Court have passed an interim order quashing the BAN by BBMP !! As per ruling from single judge bench, ONLY the legal hoardings will be allowed, keeping the scope of PIL’s still open against illegal display boards,banners and hoardings. legal media and were suffering from last few months, due to a complete BAN from BBMP. In the favour of several PIL’s field against the illegal hoardings in Bengaluru, BBMP (Bruhat Bengaluru Mahanagara Palike) has banned all forms of outdoor advertisements such as flexes, hoardings, banners, billboards etc for one year. After the High Court passed the judgement concerning the outdoor advertisements, the BBMP council discussed the actions taken to remove the illegal hoarding by the civic bodies and the formulation of new advertisement policy. Illegal hoardings all over the city: According to the commissioner of BBMP, the hoardings in the city were illegal for the fact that BBMP had not granted any permission to any agency, also it had not renewed the licence. Therefore, majority of the hoardings are illegal. Majority of the hoardings in the city are mounted on private properties. Time period of 15 days will be given to the property owners for complete removal of hoardings and all forms of outdoor ads from the city. If they fail to exercise the same, a criminal case would be slammed under Karnataka Open Spaces (Prevention of Disfigurement) Act, 1981. The High court’s decision has been welcomed by the BBMP council and the political parties. However, the council has pleaded for more time to formulate the new advertisement policy. The flip side: Although, the ban is being seen by most as an improvement measure in city’s aesthetics, the BBMP judgement has also received criticism from the Karnataka State Digital Printers and Flex Printers’ Association. According to the association members, this will be a hard hit for 2,000 printing and flex units in the city as they provide employment to approximately 10 lakh people directly or indirectly. Owing to the sudden shut down, the association members called for a snap protest. The protest ignited as the members were annoyed for the fact that the BBMP council neither consulted the stakeholders nor did it offer any alternative and enough time before putting the motion into effect.